As with many commodities this year, Washington pears are arriving later than last year’s start date. “We’re running about 19-20 days later than last year,” says Mike Preacher of Yakima, Wa.-based Domex Superfresh Growers. “But remember that last year was early on everything. I think this week is when you’ll see the state get underway with appreciable volume.” Preacher does add that on a five-year average though, the pear season is starting approximately two weeks later than normal. “In the state, we have a late-arriving spring so that early cell division is what caused that,” he says. That said, the fruit’s quality looks promising. “I’ve been out in the orchards and I’m very happy with what I’m seeing in terms of quality and condition,” says Preacher. 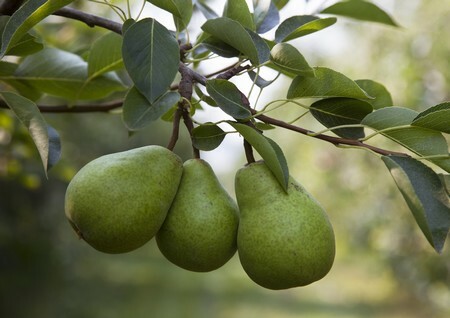 In terms of varieties, the Yakima Valley is starting with the Bartlett pears right now and the Northern pears, which is the vast majority of pears from Superfresh Growers, start this week or next. “But the Bosc pears didn’t set up great, so those numbers are projected to be down pretty significantly in the Northwest,” he says. Boscs are likely to start mid-September, while the Anjous will begin around September 10th.